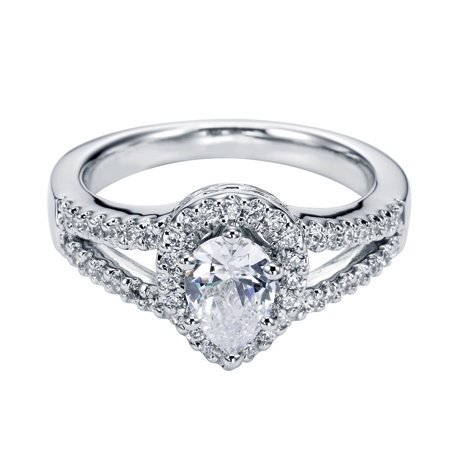 A split shank engagement ring is a statement, especially when paired with the recommended pear shape stone. 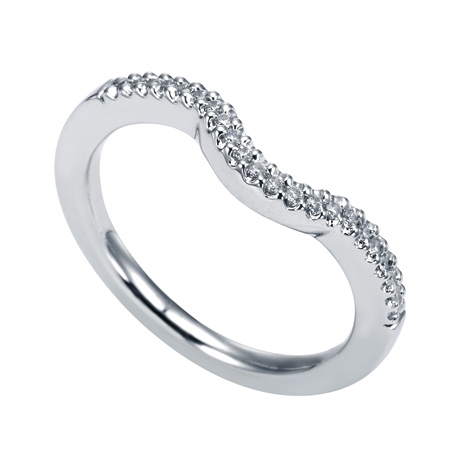 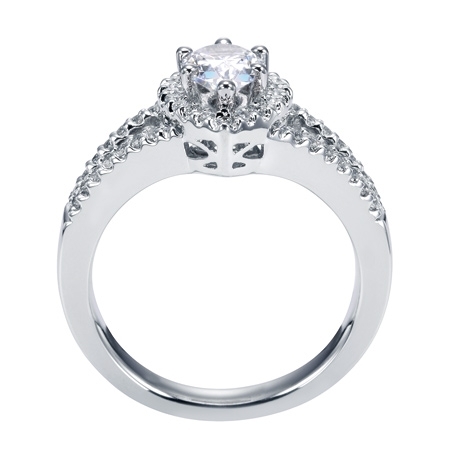 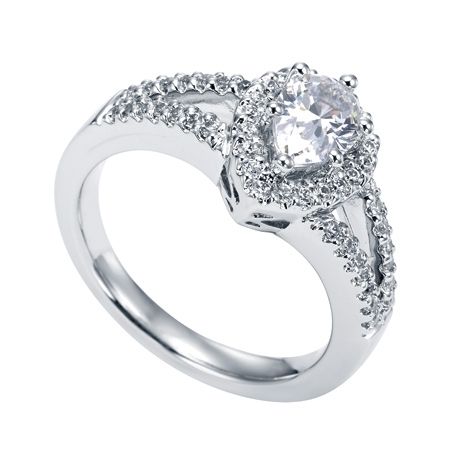 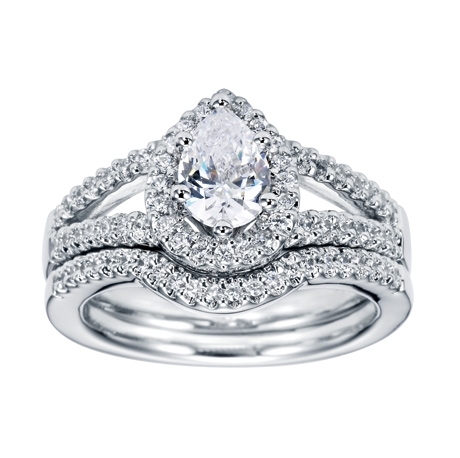 48 round diamonds brilliantly adorn this choice. 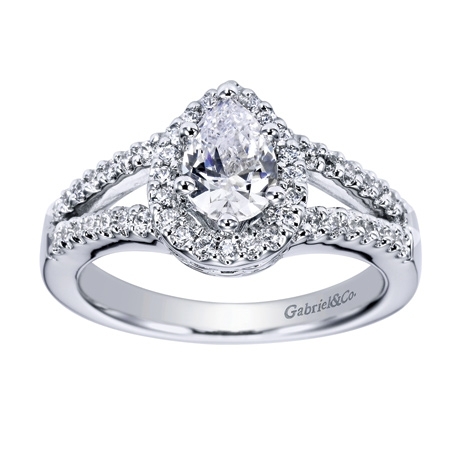 A split shank in white gold or platinum of round brilliant diamonds greet a pear shaped center diamond in this contemporary halo engagement ring, made for a marquise center diamond.